The fourth team of the last season in French handball, Aix, won the first match in the new one against Saint Raphael 31:29 (15:14). 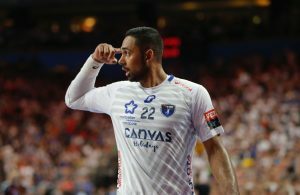 This was the clash of two teams who are probably the closest in terms of quality to the first three teams of the LidlStarLigue – PSG Handball, Montpellier Handball and HBC Nantes. “Cup specialists” from Montpellier beat PSG in French Cup 1/4 final!